Pitlochry is a paradise for photography in autumn. 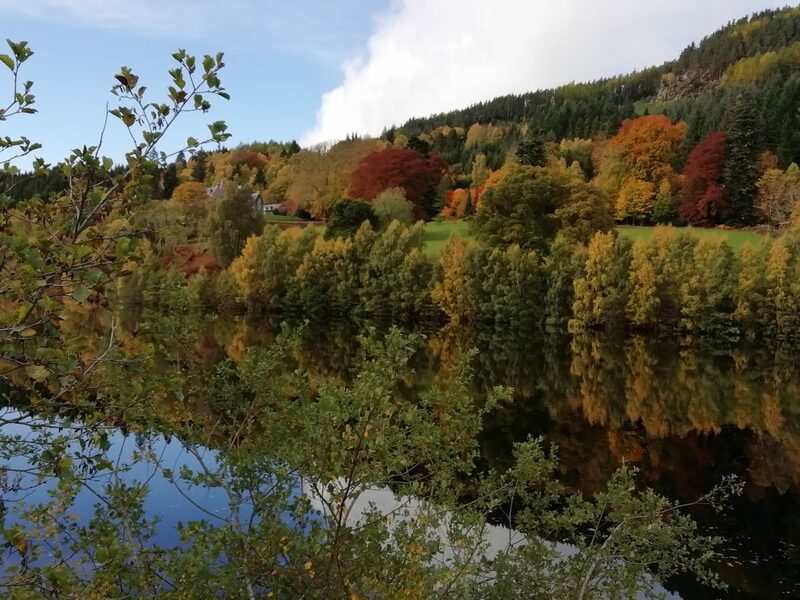 Though Scotland as a whole is exquisite when aflame with fall colours, Lonely Planet recently highlighted Pitlochry as one of the best places in the world to see the leaves turn. 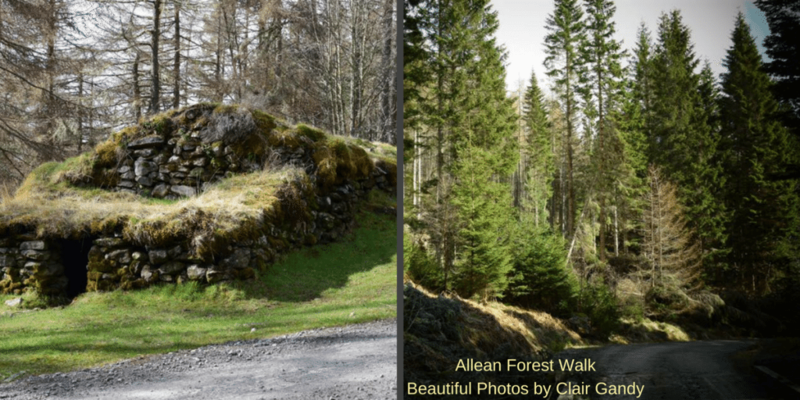 Unlike the evergreen pine forests in the mountains and highlands, the county of Perthshire is blessed with deciduous trees that shed their summer cloaks come the cooler seasons. Gold and fire carpet the streets and sidewalks throughout the town. 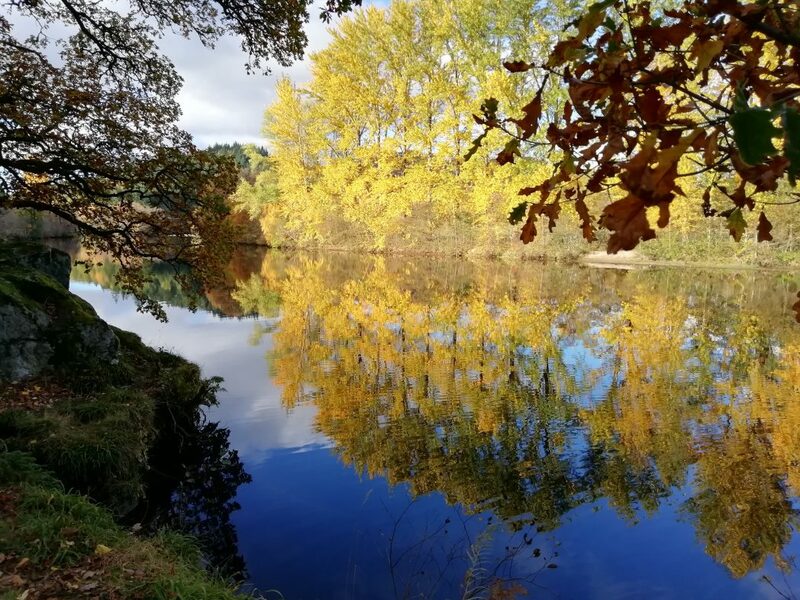 However, those seeking to truly capture the glory of autumn will find innumerable photography spots around and near Pitlochry. These immersive landscapes, lush in the summer, turn magical in the autumn. They glow golden in the soft light of dawn while the early-hour sunsets seem to compete with the warmly-coloured boughs to see which is more vivid. The rich hues are virtual paintings, embodying how art imitates life. 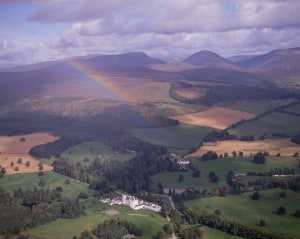 Needless to say, whether you’re a professional, a point-and-shooter, or an avid Instagrammer, autumn photography at these places near Pitlochry are sure to please. 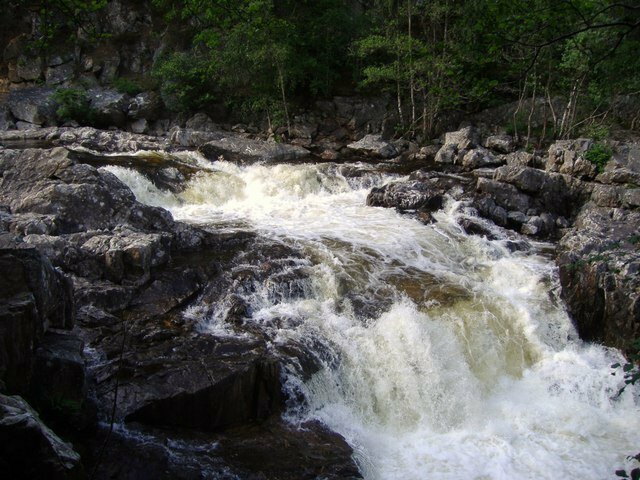 An easy walk from Pitlochry town center, Black Spout Falls takes its name from its surrounding woods. Relish the crunch of dried leaves underfoot on your stroll over for it will soon be drowned by the gush of water. The best spot to view the entirety of the 190ft waterfall and the gorge below is from the timber viewing platform. The surrounding greenery turns into a riot of colours as the cold starts to set in. Follow your ears when wandering through this thicket of oak for you may hear before you see the junction of the Rivers Garry and Tummel. Consequently, the waters swirl and gush and tumble over rocks with tremendous force and swiftness as they meet. Many try to immortalise this frothing beast on camera; this is one definite instance in which a photo speaks a thousand words. Give your camera lenses a great workout here. 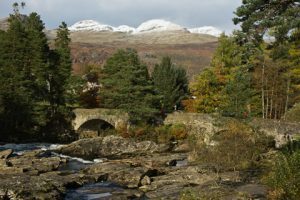 Hermitage abounds with sights to snap, from the towering Douglas firs – among the tallest trees in Britain – to salmon leaping up the falls as they head to spawning grounds further along the river this season. The contrast between the evergreen firs and the dazzling autumnal hues of the deciduous trees makes for intense pictures. Seven miles from Rosemount Hotel, along a winding tree-lined route, is Queens View. 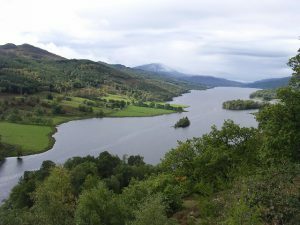 The viewpoint lies at the eastern edge of Loch Tummel and overlooks of Scotland’s most iconic panoramas, tracing the loch all the way up to Schiehallion mountain. Queens Isabella and Victoria enjoyed this very view, giving this spectacle a royal stamp of approval. On clear days, the calm lake perfectly mirrors the thick foliage that runs along it. Meanwhile, in autumn, this spectacle is a mirage of blue, green, red and gold, vibrant colours striking for photography. The shutterbug won’t know which way to turn in this forest, a trove of heritage and natural wonder. The remains of a 300-year-old farming settlement is nestled amid this ancient woodland, with two trails to follow if you so desire. Through the thicket of trees and up the the steep grassy slopes is a stunning view across the Tummel Valley. For a pretty and serene escape, few can surpass this. 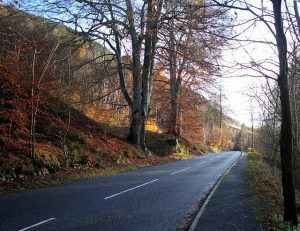 Cleaved where Highlands meet the Lowlands, the mountain pass of Killiecrankie is midway between Pitlochry and Blair Atholl. This wooded gorge is best known for its gory Jacobite Battle but no traces of that horror are in evidence. Instead, all one sees is a stunning haven of dense foliage, glistening waterfalls, and merry, frolicking wildlife, including red squirrels, pine martens, and woodpeckers. The view from the Garry bridge is among the most photographed in Perthshire. However, don’t let that stop you from setting up your tripod. The small country road that traverses the southern shore of Loch Tummel is a photgraphers delight. Just seconds from the road are some fabulous viewpoints. The smallest scramble through bracken and undergrowth is well worth the effort! A mere 11 miles away from Rosemount Hotel, on the outskirts of Blair Atholl, lies another world entirely. The glen appears to be straight of out a fairy-tale, its ethereal air enhanced by the shy deer that peep inquisitively at visitors. In between stately hills, where quality marble was occasionally quarried, runs the River Tilt. Meanwhile, the lower half of the glen’s east is dominated by the mighty Beinn a’ Ghlò and its three summits. Photographers will enjoy capturing the magic of autumn’s touch on this scenery. Each part of the journey to the top of Birnam Hill is a reward in itself. A steep ascent is rendered almost negligible with superb views over the surrounding countryside. Naturally, though, the best is yet to come for the vision that unfolds upon reaching the top of Birnam Hill is breathtaking. It looks out across to the Perthshire mountains and, on clear days, the Grampians can be seen in the distance. 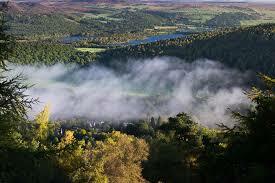 Keep your camera in hand even on the descent for the slope grants views over Dunkeld from a crag on the way down. 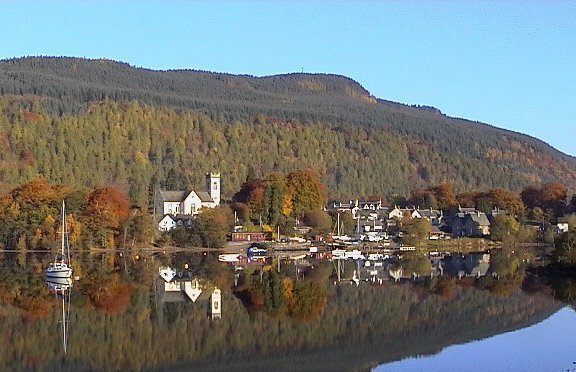 In the north of Loch Tay is Kenmore, a chic village with plenty to photograph. Built around Kenmore Hotel, Scotland’s oldest inn which had the honour of hosting Robert Burns, it was once home to over 18 crannogs, most of which are now submerged. Today it is praised for its specialty shopping, watersports, and beautiful lochside beach. Furthermore, autumn is a fine time to visit; tread through bewitching beech trees to the glorious 70-feet Falls of Acharn, the path picturesque throughout. 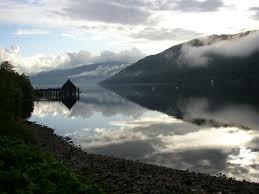 This dark stretch of water is Perthshire’s largest loch and one of Scotland’s deepest at 15 miles long and 508 ft deep. Magnificent and mysterious, it begs for lenses to be trained its way to capture its many moods. Sailing and watersports enthusiasts regularly pay the loch a call. A large crannog, one of few that can still be seen, near the northern shore at Kenmore is the ancient burial place of Queen Sybilla, wife of Alexander King of Scots. 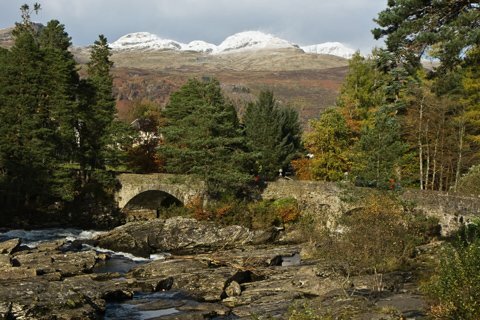 Located at the western tip of Loch Tay, Killin is a perfect place to stop for lunch when visiting the Loch for a day’s circuit-trip. The stunning rapids of the River Dochart pass right through the village. We always recommend the circular tour of Loch Tay. Both shores offer stunning vistas at all times of year. Imagine 30 miles of rolling greenery and fewer than 100 residents. Glen Lyon is Scotland’s longest and arguably loveliest glen, if Sir Walter Scott is to be believed. Wild and wonderful sights fight for your attention, from the deeply-wooded banks and craggy mountains to tranquil hamlets and pools. In the upper reaches are Loch Lyon and Loch an Daimh. Like many remote treasures, access is hard-earned but the rewards are bountiful: this is one of the most beautiful places in the country. Now picture that vision enlivened by fall’s scarlet and amber – forget photo albums, the resulting shots belong framed on the wall. The above-mentioned scenic spots within 20-minute drives, 40-minute drives and 60-minute drives are marked on Google Maps. The driving distances use Rosemount Hotel as a starting point. 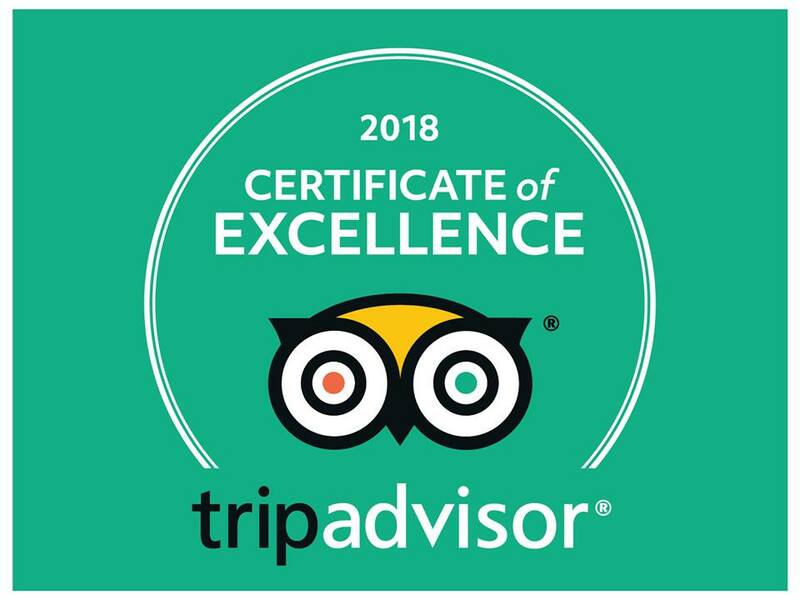 With our range of accommodation, from sumptuous junior suites to inviting regular and economy bedrooms, you are sure to be comfortable on your photography expedition this autumn. Furthermore, feel free to bring your best friend along – we warmly welcome dogs.